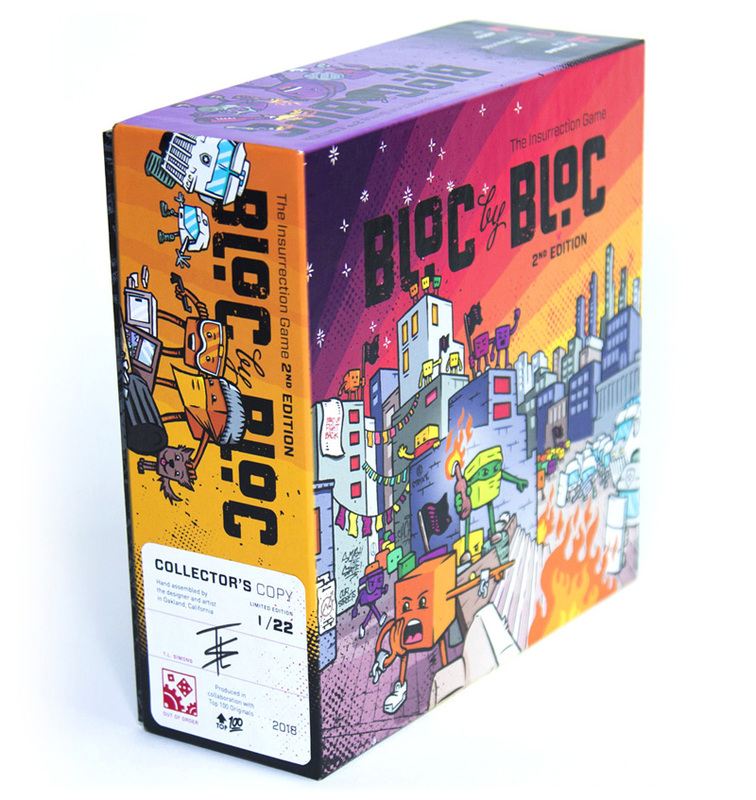 These exclusive copies of Bloc by Bloc 2nd edition feature very limited run premium components. 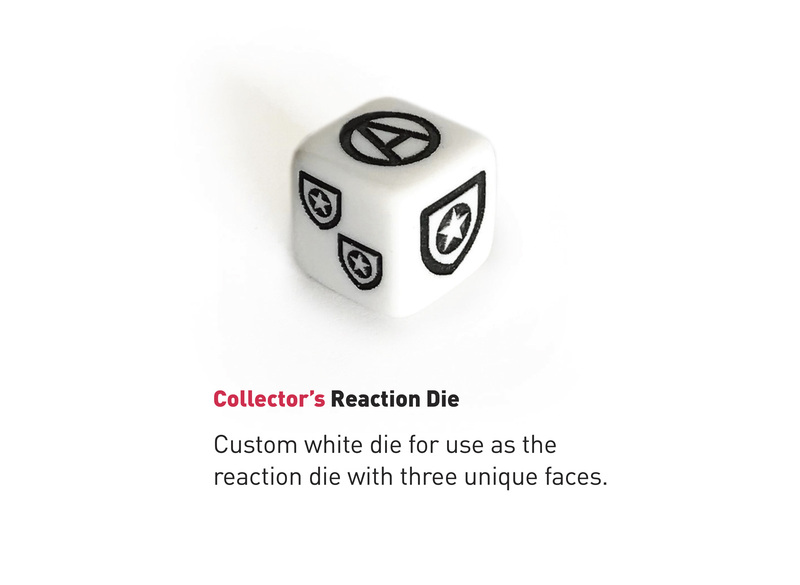 Each copy has been hand assembled, numbered and signed by the designer and artist of Bloc by Bloc, in Oakland, California. Scroll down to learn more. A total of 22 Collector’s Copies were produced. 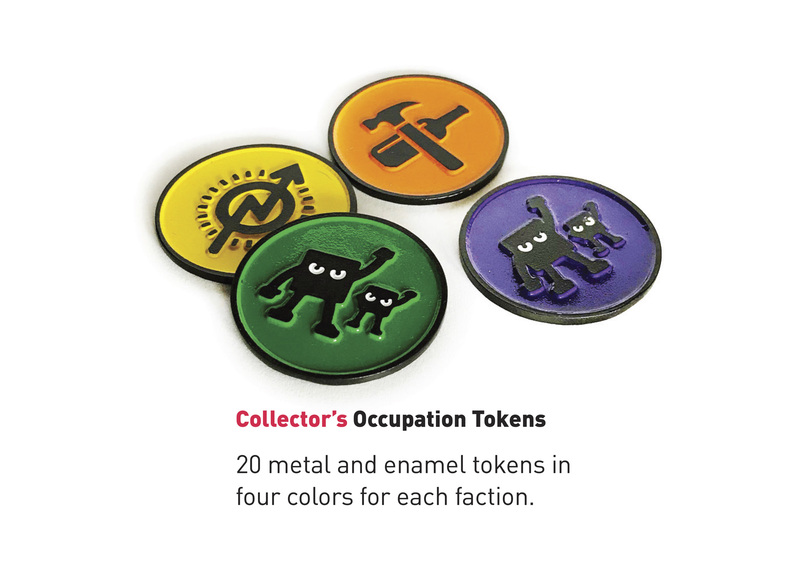 12 were made available during the Kickstarter at the $350 pledge level. 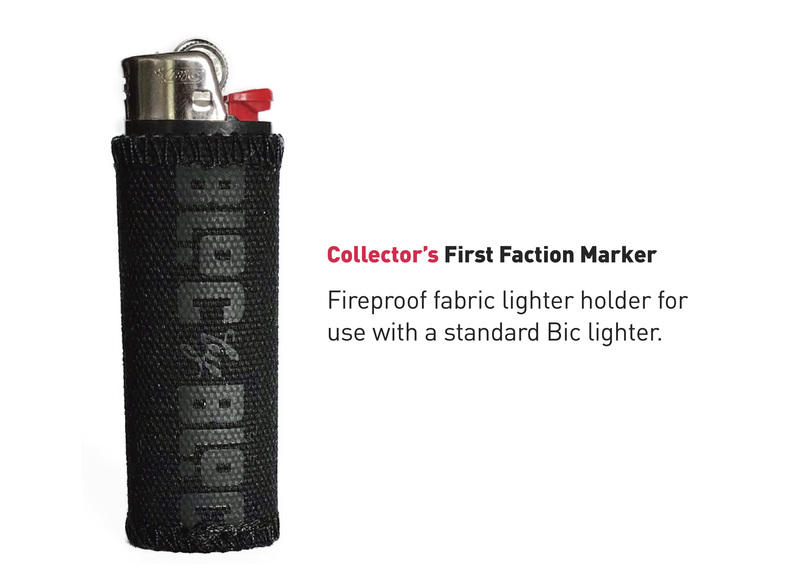 All 12 were claimed on the campaign’s first day. The final set of Collector’s Copies are now being made available for purchase. Email [email protected] for pricing and availability. Produced in collaboration with Top100 Originals.